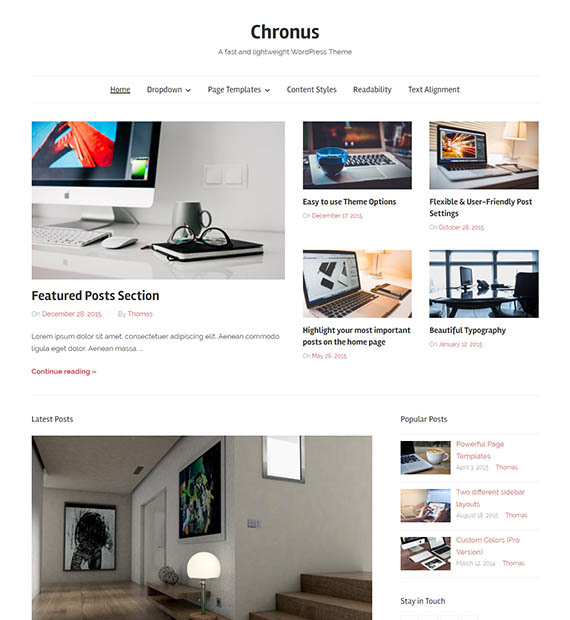 Fast and light-weight Chronus is an awesome Free WordPress blogging theme. Especially suited for magazine, news and personal blogs, it is multipurpose which means you can use this theme for any type of sites that you wish. The main features of the theme include the ability to highlight the important posts on the home page using the Featured Content section as well as the flexible widgets. The minimal and clean design add the missing element of extra elegance to your site.